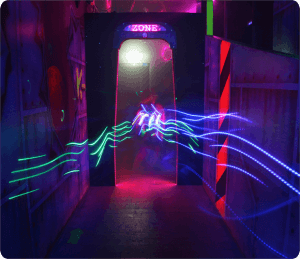 The Zone Gate is a multi-functional arena doorway that can be captured and turned against opponents. The LED strips are super bright; they’re a great way liven up central pathways or create strategic areas in your arena. Released toward the end of 2015, the uptake on the Zone Gate has been exceptionally positive, now in three sites in Australia and over 15 across the globe. Our customers are impressed with these devices and think that they look great. This entry was posted	on Friday, August 5th, 2016 at 10:13 am	and is filed under . You can follow any responses to this entry through the RSS 2.0 feed. You can leave a response, or trackback from your own site.